Add a unique and upscale style to your golf cart with our line of stainless steel accessories. Rocker panels, kick plates, access panels, name plates, front bumpers, and rear bumpers are all available at the best prices in the industry. With our stainless steel products, you can achieve an expensive look without and unreasonable price tag. We carry a full line of stainless steel accessories for Club Car golf carts. From full accessory kits, to rocker panels, to stainless steel access panels and more, we have the best prices on the Internet and the best selection. We carry a full line of stainless steel accessories for EZ-GO golf carts including stainless steel axle covers, name plates, and rear bumpers. Add a touch of style to your golf cart at a price that cannot be matched. Our line of stainless steel accessories for Yamaha golf carts includes full accessory kits, front bumpers, kick plates, and rocker panels. 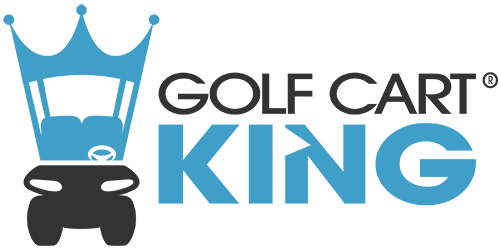 Golf Cart King is your one-stop shop for stainless steel and custom accessories, so see what we have to offer, as you will not find lower prices anywhere on the Internet or in any brick and mortar store.